Even if you don’t know that there is always money in the banana stand, you should have heard by now that Arrested Development is returning. It’s been a long time coming and fans of the series have waited pretty impatiently. They’ve begged executives, tweeted the writers and grilled the actors for years, hoping for an Arrested Development movie that was hinted in the season three finale. Finally, the Netflix Gods have answered our prayers. In the trailer for the new season, debuting on May 26, Michael Bluth (Jason Bateman) returns to California to his out-of-control family. From the first ten seconds it’s good to see that Michael hasn’t changed in the last seven years. Each episode focuses on a different character and episode one is Michael. When we last saw him, Michael had run away with his son George Michael, played by the always awkward Michael Cera. George Michael is now at college and it looks like we’re getting a sequel to Les Cousins Dangereux. Maeby (Alia Shawkat) is in George Michael’s dorm room. After they found out they’re not blood related, Maeby and George Michael never got a chance to explore their romance. Which leads us to Maeby’s unattentive and selfish parents, Lindsay and Tobais (Portia de Rossi and David Cross). They’ve been on the brink of divorce for three seasons and it looks like they are still in arrested development. (Hey, that’s the title of the show!) Lindsay tries to tell Tobias that she loves him, but Tobias tells her to focus more in her acting classes. As for my favorite Bluth, baby Buster (Tony Hale) is still his screaming, panic attack prone self. He hasn’t been able to get away from his over-protective mother, Lucille (Jessica Walter). She’s still a drunk and George Bluth (Jeffrey Tambor) is still a crook of Captain Hook standards. 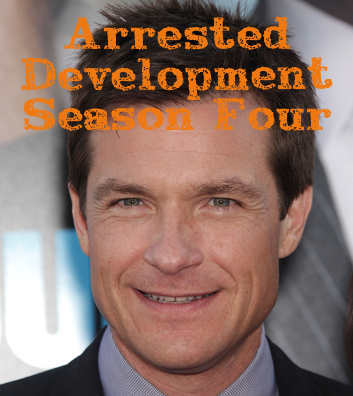 Arrested Development Season 4: Where is Steve Holt? Also in the trailer, we see George Bluth’s secretary, Kitty, but no sign of Liza Minnelli, Lucille Austero, or Steve Holt. I guess you can’t always get what you want, but we’ll still be toasting to “STEVE HOLT!” when we watch the new season on Netflix. All of the new episodes will debut at once.